Indoor Air Quality in Dubai. You can build business everywhere but the indoor air quality in Dubai is something that needs a quick attention. As office buildings and closed establishments grow ever higher particularly in large cities are mostly designed with limited exterior access especially in entrances and exits. Commercial buildings and offices are usually constructed tightly closed and energy-efficient places that even fresh air cannot enter in. "Saniservices is the Rolls Royce in the field of sanitisation and disinfection..."
Get a FREE AC Inspection with Full Report & Pics! AC System and AC Ducts in Dubai are prone to a lot of allergens that can harm you and cause life-threatening conditions. Moulds, Dust and other harmful bacteria could be growing within your AC Ducts, Vents, Evaporator and AC Drainage trays and pipes. YOU COULD BE INHALING THEM RIGHT NOW! Most Trusted AC Cleaning and Disinfection Company since 2009! Read what our customers say about us! Swiss Quality Service with highly trained and technologically equipped Staff using 100% Chemical Free Bio Sanitizers from Switzerland! Customer Centered Service. The only company offering a 24/7 Emergency Help Line for their clients! "Your team has just left my apartment in Dubai Marina. I wanted to take the time to let you know that I am extremely impressed with your service all round." Contact us today to get a FREE Inspection with a comprehensive report! You can build business everywhere but the indoor are quality is something that needs a quick attention. As office buildings and closed establishments grow ever higher particularly in large cities are mostly designed with limited exterior access especially in entrances and exits. Commercial buildings and offices are usually constructed tightly closed and energy-efficient places that even fresh air cannot enter in. Due to high populated buildings and growing scents inside the buildings will create impact to one`s health. Health problems such as skin allergies, rhinitis and other nasal irritations are usually being experienced by people who are more exposed in such buildings and offices. The reason is the poor indoor air quality. We all take for granted the air that we breathe until we get sick due to contaminated indoor air that we think safer than the outside air. The office and building environment can be one of the worst places for poor indoor air quality. Machines, fabrications processes, number of chemicals and other unhealthy materials that are used for production are increasing day by day. Many employees have experienced different sicknesses from so much exposure on fumes and other air pollutants. Employees are assets of the company that is why the Environmental Protection Agency and the National Institute for Occupational Safety and Health make some ways to prevent the employees from getting sick because of poor indoor air quality in the business premises. How to treat your indoor air quality in your business? Workplace and business premises should maintain cleaning procedures on a daily basis. Never expose yourself to the odor and fumes of cleaning agents used inside your workplace or business; it might cause health problems such as asthma, respiratory diseases and allergies. Opt to use organic and eco-friendly products in treating your indoor air quality. 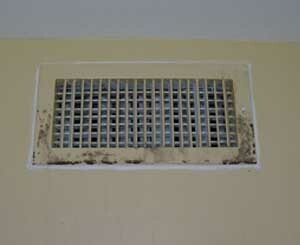 Keeping all air vents and grilles clear from any barriers is very important to avoid poor indoor air quality. These structures are necessary for the circulation of air throughout the business premises accompanied with the heating and cooling systems in the building. Avoid smoking inside business premises. Tobacco smoke is very harmful in the health of both smoker and someone who accidentally inhales its dispersed smoke. It is also one of the major sources of air pollution indoor or even in outdoor environment. To obtain a good indoor air quality, it is very helpful to install high quality air filters in both heating and cooling systems available in your building. 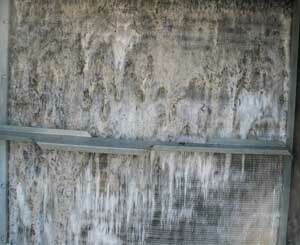 It will reduce even the smallest particles of airborne pollutants. High quality air filters are capable in eliminating the huge amount of contaminants in the air like dusts, molds, pet dander, viruses, spilled powders and other harmful particles. It is more efficient to choose the high quality air filters than the low quality one, though it is more expensive than the other but it is a wise investment for your health`s safety. Indoor air quality is crucial to everyone who uses the building most of the time therefore you should treat the air inside your business premises. A healthy building will result to healthy employees and customers. • Faulty or dirty air-conditioning filters. Surprisingly, the cause of the syndrome is still undetermined. Though, most people will suffer breathing difficulty and can only recover as soon as they will be evacuated from the contaminated place. But some indoor air pollutants cannot be neglected like the synthetic materials which emit toxic compounds that at a scalable amount and at continued exposure can have effects on the health. Household efforts will determine the success of the agency’s campaign to promote a healthier indoor air quality. EPA and other companies had released some measures combating poor indoor air quality, ranging from natural approach to technological advances and strategies that deem fit the situation. 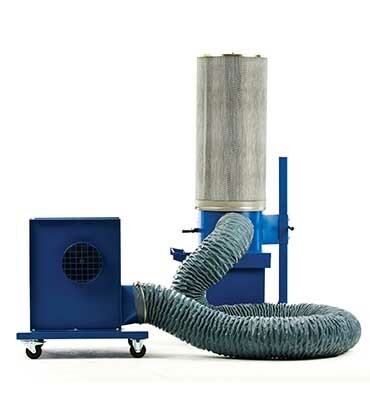 First, frequent house cleaning – this is the most effective way of dealing indoor air pollution. Dusting off the house is a good practice too. Changing upholstery from clothe-like cover to something easily cleaned. You will minimize and control the population of the dust mite – the main culprit for many respiratory problems accompanying unhealthy room air condition. Also by cleaning your house regularly, pollens and molds are inhibited. You also need to categorize the substances or chemicals inside your house. You need to take note on how it should be stored and used, not just for the user’s safety but specially for the kids at home when adults is not around to check them. Many alternative solutions that are greener or environmental friendly substances are available. Also you can check the internet like organic household cleaning agents such as soda, vinegar, lemons, etc. That costs just a fraction of the synthetic compounds. Second, build green – the present trend in architecture is promoting greener homes which incorporate lesser synthetic materials and pouring on more natural building materials, lesser paints, and lesser stones and having the present of some botanicals. Third, breezing – good ventilation might be the one of the most reliable approaches to push out dusts that are trapped in the house and adequate window sizing and location is important to promote healthy humidity. Lastly, tech stuff – air purifiers aids the removal of contaminants in indoor air which is used in combinations with the above suggestions will have promising results and will obtain a healthier indoor air quality! Indoor air quality is a term that refers to distinctive attributes or characteristics of the air within a house, a structure or a building as well as the air around it. The indoor air quality is also being base on the level of the comfort of the inhabitants as well as their health status. Indoor air quality has become a very significant safety and health concern nowadays. The status of how good or how bad the air inside a structure is could be determined by collecting a sample of an air in that area, collect samples from the surfaces of the building in case any contaminants could be detected, checking any exposure to possible pollutants present in the location like cook stove or the paint being used, and lastly is to check how the air circulation in the area occurs. Any changes in humidity have noticeable effect in the air. If there is a high level of humidity means too much moisture in the air, it results to the growth of moulds, dust mites and fungus. While on the other hand, a low level of humidity when means a very dry air can aid some virus to survive. It can also dry your mucous membranes increasing the risk of infection. For better indoor air quality, proper air circulation and controlled ventilation is a must. If pollutants are present and diluted in the air inside a structure, it will have a chance to be release outside once good ventilation is available. Inhabitants will give direct and immediate responses to any perceive changes to the temperature. A controlled temperature that is comforting to the people inside a building actually increases performance and productivity. If the temperature is too high, it worsens the effect of uncontrolled humidity. Indoor Air quality of any places where you are spending long hours can be critical to your health as we know that the air distresses the overall health of every individual. Some do not realize the importance of having a good indoor air quality but being aware of it is beneficial to one`s safety. As climate changes, our indoor air quality also changes. Maybe it gets worst or improving that is why we should be knowledgeable on how to treat it easily. Taking the needed actions to improve your indoor air quality is the utmost important to the health of the whole family and loved ones. This common trend concerning your air quality often leads to actions in order to get the air quality that can give a better air for a better living! You may be surprised to learn that the air that you are breathing inside your home or business is nearly five times more polluted than the outdoor air. In Dubai, most people spend a majority of their time indoors, which makes maintaining the highest quality indoor air a must for homeowners and business owners alike. Many pollutants, such as dust, mold, spores, pollen, smoke particles and pet dander can wreak havoc on the quality of your air. Other items that may affect the quality of your air are, changes in temperatures and humidity, which can affect the concentration levels of the air pollutants. These pollutants can cause a multitude of health issues for your workers and loved ones, and having poor air quality is the leading cause of illness sweeping across the people who are frequently inside a building’s walls. Poor air quality can lead to a breeding ground for bacteria, viruses and mold. 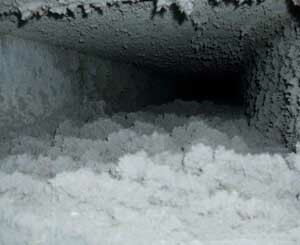 For this reason it is important to have your air ducts cleaned by a certified Dubai AC duct cleaning service. Not only do the pollutants in the air make your eyes and nose burn, they also have the power to irritate your throat and make breathing difficult. For those who have breathing illnesses, this can be a major problem. Air pollutants are the leading cause of asthma and can easily cause an asthma attack if the airways are restricted excessively. The elderly and those with heart and respiratory diseases can also be affected greatly when breathing in these air pollutants. Some research has even shown that chemicals in the air have the ability to cause some forms of cancer, as wells as injuries to the brain, nerves and lungs. In extreme cases, death has even occurred. After your ducts are fully cleaned, you will no longer need to fear the air quality in your building or home. By choosing a company that is well experienced, you will have the added benefit of having clean ducts, filters and vents and knowing that they have been well inspected and are now free of debris and harmful pollutants. The dust and dirt that AC duct cleaning services remove is responsible for the lack of air flow and circulation and can eventually clog the coils of your AC and the filters of your furnace. This will eventually cause your entire system to break down and require major, expensive repairs or replacement. In summary, you can expect the following benefits when having your air ducts cleaned by a professional Dubai AC duct cleaning service: improved quality of indoor air, longer equipment life and efficiency, an increased life for your cooling system and, most importantly, the overall health benefits of your loved ones and employees. Protecting the air quality in your building or home is extremely important and a task that should not be taken lightly. Be sure to choose a company that is certified and offers a guarantee to their process. After having your ducts cleaned professionally, you will immediately notice a difference and will no longer fear becoming sick due to your indoor air quality. It is also important that all new buildings follow the codes that have been put in place by the Dubai government regarding air quality control. It is now required that buildings use their air ducts to protect the air quality from pollutants that can cause illness to the people who inhabit the building. For example, one rule is that all outdoor intakes must be placed at a distance that is far enough away from potential contaminants that they will not circulate back into the fresh air supply. This concept is extremely important when protecting the people who live or work inside the building. The same goes for air as it is returned out of the system. This exhausted air must be discharged in a place that cannot be drawn back into the air supply and it may not be in a spot that will be pushed into passing pedestrians. For buildings that produce hazardous fumes or chemicals, specific areas must be created for this exhausted air so as not to affect the people inside or immediately outside the building. Whether you own a building or a home, you should always strive to provide the best quality of air for those inside. Good quality indoor air can be the difference between sickness and health, and life and death. Never underestimate the affect that quality air can have on the people around you. It is one of the most important aspects of remaining healthy and happy throughout the entirety of your lifetime. Home is the permanent destination of every one of us in everyday life. We spend almost 60% percent of the time at home, rest 40% at work place, school or colleges. So, home is the place where we feel secured, safe and relieved. But have you ever thought if your house is polluted or not?? Statistics has shown than Indoor air at such places is more polluted than outside air. The place where we might feel safe is more prone to diseases and problem than outside. The latest research at Dubai has shown that the people who are falling sick especially children and elderly people live in areas with poor air quality and high in pollutants. Due to their age they get attacked by disease more easily and frequently than adults. This indoor Air quality issue is coming up as a critical component of public health, as it has the capacity to ruin people’s everyday life in easiest manner. Many would not even realize that their house can also act as an inducer for diseases. Hence one needs to be aware of such happening and be preventive in order to stay fit and healthy. A healthy surrounding is one, which is free from allergens, chemical, biological containments, molds and damps etc. To attain such environment at indoor places, one needs to take preventive steps to assure cleanliness. There are various causes for Indoor air quality issue- Inappropriate humidity, temperature and lighting, poor ventilation, building furniture and surroundings, containments like molds, fungi, dirt and dust, bacteria, chemicals and other odors. Few daily used things like perfume, tobacco, cigarette, fiber glasses, gases like carbon-di-oxide and vapors can also result in unhealthy air. Ozone is the one of the major and strong cause for IAQ. Research has found that even low level of IAQ is capable of affecting elderly, children and people already suffering from respiratory problems and Asthma. In worth cases, it can also result in pre-mature death. This IAQ can result in various health issues which are referred by following names - Multiple Chemical Sensitivities (MCS), Sick Building Syndrome (SBS), Building-Related Illness (BRI) and Tight Building Syndrome (TBS). Each and every term has differently categorized people falling into it based on the time spend at the same house, reactive to chemicals and gases, clinical symptoms etc. As soon as anybody suspects any of the following symptoms at their indoor, they need to take preventive measures to avoid forthcoming diseases. The symptoms are – short of breath, unhealthy, irritating odor, nausea and dizziness, sinus, coughing and wheezing, allergies, irritation and dryness of body parts, blurred vision, lack of concentration and discomfort, presence of molds and damps, absence of ventilation etc. Steps taken to suspect and avoid IAQ Dubai Municipal Corporation has taken steps to test public places like schools, university, colleges and workplaces to investigate on the indoor air quality. Certain measures have also been induced to avoid IAQ and to keep surrounding healthy. One of the natural ways of preventing IAQ is to keep all the surroundings and house clean. To make sure you are in a proper ventilated house with good flow of outside air into the house, by ensuring periodic air cleaning sessions. These air cleaners will filter and cleanse the air and accumulate all the air pollutant leaving behind pure and fresh air. Now you would know how important it is to maintain a safe and healthy indoor air. Therefore, take necessary steps frequently to avoid leaving gaps for IAQ to occupy your indoor areas and cause problems. Have a safe and healthy life. Indoor Air Quality in Dubai UAE – Does Your Air Stink? Thank you! One of our Indoor Air Quality Specialist will be with you in a moment. You may also call us at 04 3215282 we are open 24/7 to take your calls.